OnDeck provides speed, convenience and looser qualifications than most banks, but the online business lender might also charge a higher annual percentage rate. Need cash fast: You can apply online or via phone in as little as 10 minutes and, if approved, get funding in as little as 24 hours. 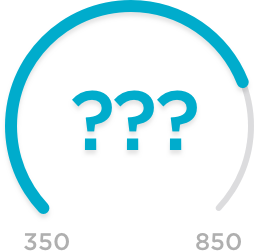 Have a less-than-stellar personal credit score: The personal credit score minimum is 500 for term loans and 600 for lines of credit; the median credit score of OnDeck’s borrowers is 702. Have big, unexpected expenses: The quick turnaround on financing means you can get cash in a pinch. Have uneven cash flow: OnDeck’s line of credit may help tide you over during periods of low cash flow. OnDeck loan applications can be completed online or over the phone in as little as 10 minutes. You only need basic information to apply, including your business tax ID, three months of bank statements, Social Security number and driver’s license number. You may receive a decision within minutes and, if approved, can receive funds in as few as 24 hours. Traditional bank loans typically require collateral, such as your home or other personal asset, to secure a loan. OnDeck doesn’t. Banks typically want you to have been in business at least two years to receive funding, while OnDeck requires only one year for its term loans and line of credit. And banks often want borrowers to have a personal credit score of 720 or higher; OnDeck’s minimum for term loans is 500 and 600 for its line of credit. OnDeck’s term loans have a one-time origination fee between 2.5% to 4% of the total loan amount on your first loan. This fee drops to 1.25% to 3% on your second loan and to 0% to 3% on your third and future loans. OnDeck reports your payment activity to the business credit bureaus Equifax, Experian and PayNet. Making timely payments should build your business credit score, which could help you get larger and less expensive small-business loans in the future. OnDeck’s outstanding term loans carried APRs from 16.7% to 99.4% in the first quarter of 2018. The rates for its lines of credit ranged from 11% to 60.8%. OnDeck’s weighted average APR was 48% for its term loans and 32.4% for lines of credit, according to the company’s most recent quarterly filing. Rates will change slightly each quarter. Although OnDeck’s term loans aren’t backed by specific collateral, the company takes a blanket lien on all of a business’s assets. Like most lenders, OnDeck also requires borrowers to sign a personal guarantee, a written statement that says the lender can go after a borrower’s personal assets in the event of nonpayment of the loan. Failure to repay could damage your personal credit score. OnDeck deducts a fixed daily or weekly payment from your business bank account. Term loans are repaid daily or weekly, while lines of credit are repaid weekly. Businesses with uneven cash flow should be aware of the frequent repayments. OnDeck doesn’t assess prepayment penalties, but repaying its term loans early won’t save you money because the lender requires customers pay a fixed amount of fees. This differs from small-business loans that require monthly payments of principal and interest based on an amortization schedule. Borrowers who repay amortizing loans early save on interest. OnDeck works with most types of small businesses — such as doctors, dentists, restaurants, auto body shops and beauty salons — that have annual revenues from $100,000 to $5 million. Here’s a list of businesses it won’t lend to, including pawn shops and funeral services. Like OnDeck, online lender Kabbage offers fast access to financing and has an easy application process. Kabbage has looser minimum requirements for financing than OnDeck, but it doesn’t offer a line of credit and the terms of its loans tend to be shorter. For more details on how they compare, read our Kabbage versus OnDeck comparison review.